There comes a time when we get tired of listening to music as it is necessitating us to mix our own music using special apps and software. Mixing music can entail various activities including but not limited to: combining two different songs, adding special sound effects, adding special filters among other strategies that help in bringing out a new taste in music. Contrary to the traditional belief that music mixing is only limited to disk jockey turntables and computer PC, individuals can easily mix music nowadays on their handheld gadgets including phones and tablets. Apple products that support music mixer applications include iMac, iPhone, iPad and iTouch. This article is going to discuss in detail the top 5 free efficient Apple music mixer apps in the online market. Kindly note this list is in no order whatsoever. This is a free Apple music DJ app that provides its users with a cool interface where they can easily play and mix songs, record them and finally export and share them to their listeners. The free DJ software can be used in all apple available products. Apart from its music mixing interface, the app has a smart yet unique music library that has a global search access enabling one to browse from all available sources of music for their desired content. By doing so, one is able to trace and play music easily. 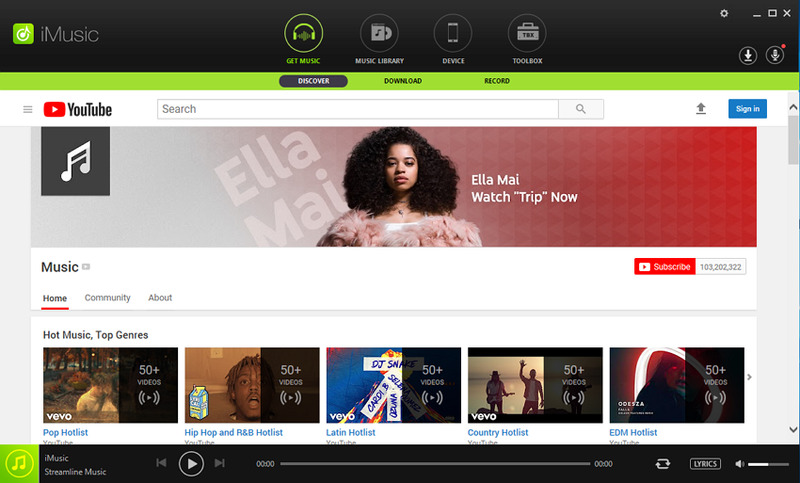 The app provides over 50 million tracks by allowing users to access multiple music websites. 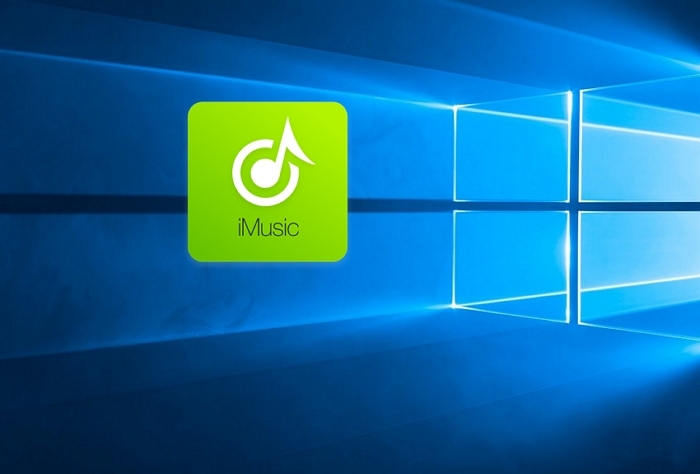 The music DJ app is compatible with iOS 9 or lower operating system versions making it compatiple with all apple products using the operating system. The DJ scratching option in the apple music mixer app provides a realistic sensation similar to using a turntable. The software also supports a variety of languages including English, French, Russian, German, Japanese, Spanish jus to mention a few. DJ player is a free Apple music mixer app that supports iOS, android and windows phone. 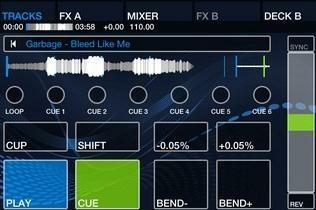 It is considered to be a pro DJ software for mobile. The app is skillfully designed for iPad and iPhone devices having iOS 5.1.1 or later. The general appearance of the app is great as it offers users with the ability to customize colors to fit those found in music turntables. The DJ player interface simulation is similar that of professional DJ equipment and instruments. 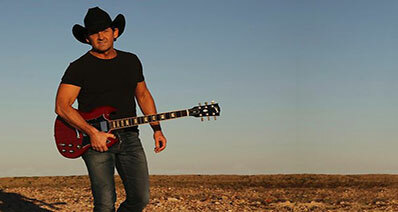 The sound quality produced by the app is excellent ensuring that music is recorded in the highest quality. The beat matching function of the DJ player app helps sync music tracks with ease making it very easy to use even for intermediate users without prior mixing skills. The video player integrate feature supports mixing of video music files. The touch screen scratch interface provided by the app gives it a realistic appeal. Pitch bend is also provided in all modes. Cross DJ free is an Apple music mixer DJ app that can be used in Mac PC, iPhone and iPad. 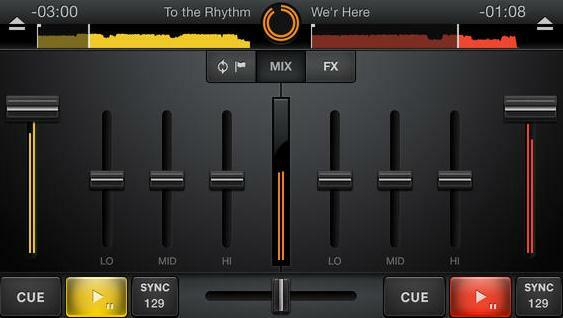 The free version of the app comes packed with 2 mixing decks plus an additional stand alone mixer. The video mixing feature provided supports mixing and exporting of videos in various formats. The iTunes support feature in the application makes it possible for users to play music and videos straight from iTunes with ease. The history and record feature found in the app provides vital information on the type of songs one played previously and the ability to record your mixes in real-time. The automix feature ensures that the music played never stops through providing automated music mixing technology. The webcam input provided makes it possible to record all your mixing activities and where possible producing visual mixes with you in them. The key detection technology used by the app can be used to create smooth harmonic mixes while highlighting compatible songs. 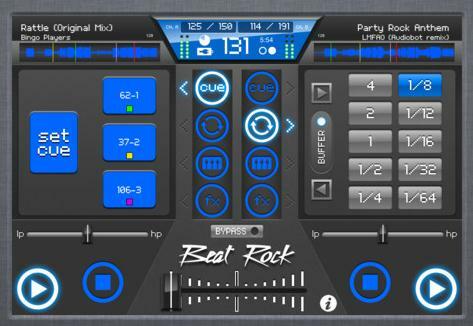 Beat rock is an Apple music mixer DJ app that boasts to be the first beat-synchronized DJ application that allows users to mix their songs through automatic beat matching technology. The app is available for download by individuals over the age of 17. The apps' master tempo feature ensures that mixes are provided on time and are able to please the crowd. Users can enjoy quality sound through the remarkable 44.1k stereo audio technology. There is a feature that enables users to follow others using the software creating a way of social interaction. The Bluetooth and airplay features of the application allow individuals to perform live with their apple gadgets. 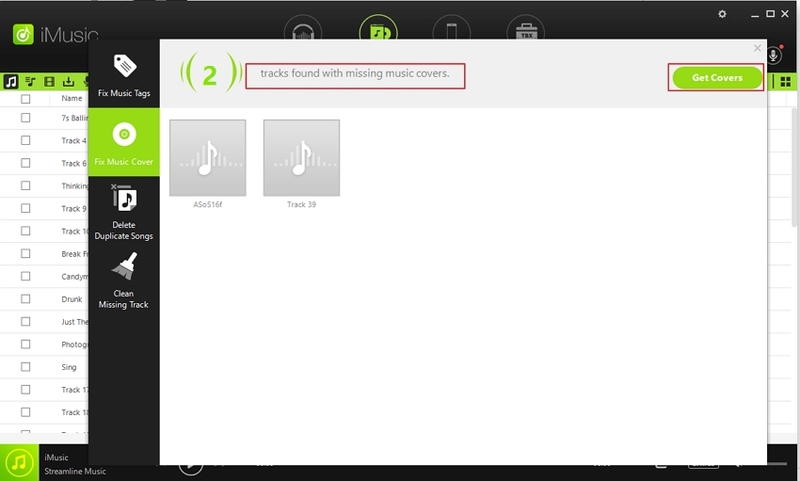 There is also a record and share feature that allows users to broadcast their music mixes with others.